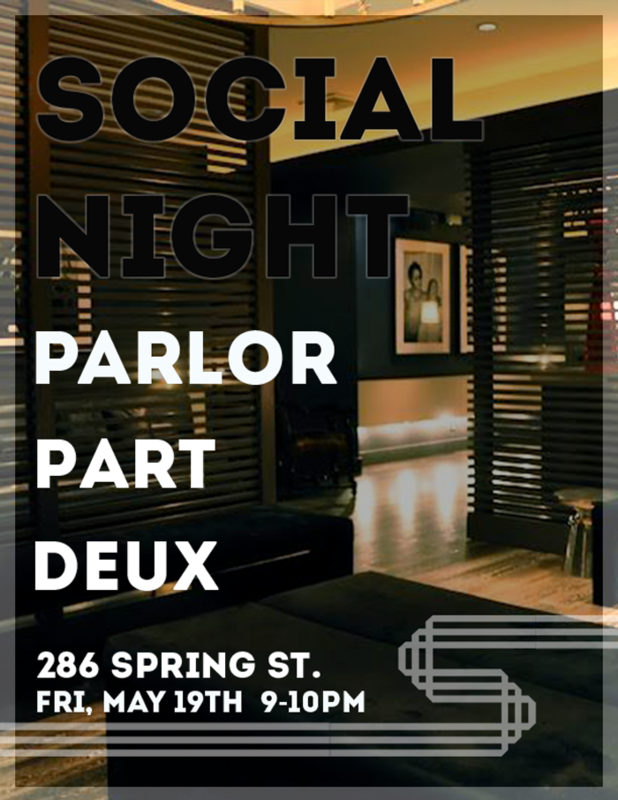 On Friday, May 19th, join us as we gather for the next SELECT Social Night - a series of cocktail and networking events designed for members to mix and mingle. This installment will be a return to Parlor Social Club in SoHo, where we'll enjoy an hour-long complimentary open bar from 9 - 10 pm featuring a cocktail menu from Matt Rojas, formerly of Eleven Madison Park, followed by cash bar. SELECT Members can enjoy complimentary access to this intimate event, with guest tickets available for $15 each.